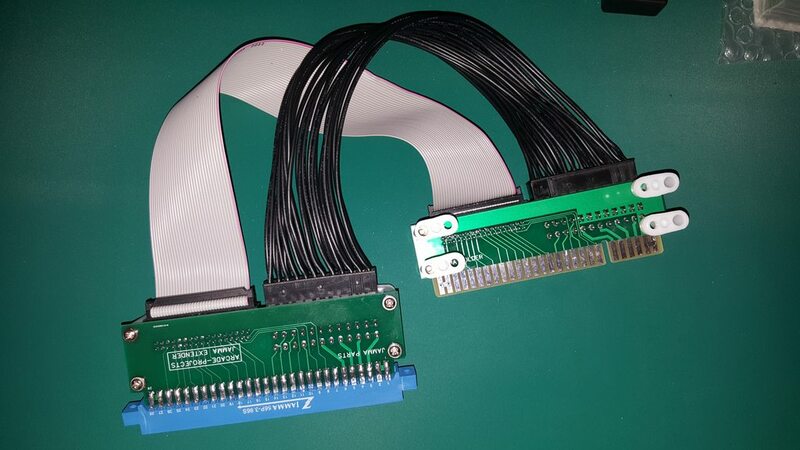 Hey guys I've got a run of Version 1.6 Arcade-Projects Jamma extension cables for sale and ready. 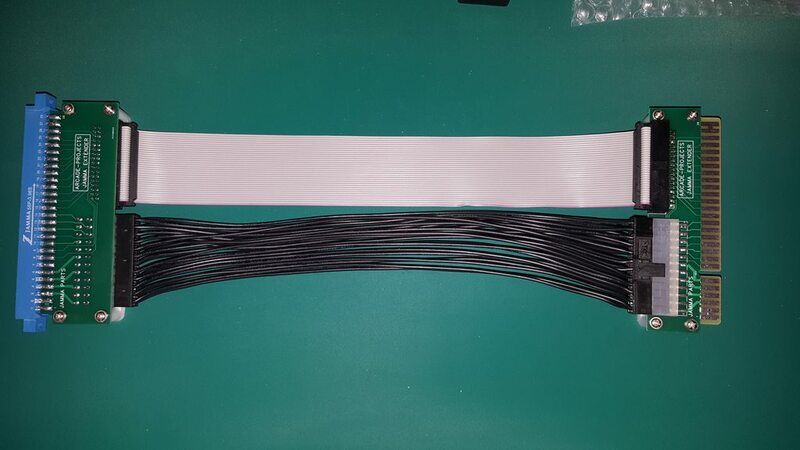 Approximately 30/60/100cm of cable length between the two PCBs, please allow for slight variances due to the hand made nature of each extender. 30cm length extenders are $65 AUD plus shipping & handling. Shipping $15 to USA, $20 for EU, $12 for AU. Shipping rates for up to 1 cable. Add $5 more per cable for shipping. 60cm length extenders are $85 AUD plus shipping & handling. Shipping $20 to USA, $25 for EU, $12 for AU. Shipping rates for up to 1 cable. Add $5 more per cable for shipping. 100cm length extenders are $110 AUD plus shipping & handling. Shipping $25 to USA, $30 for EU, $12 for AU. Shipping rates for up to 1 cable. Add $5 more per cable for shipping. Payments via PP Friends and Family. 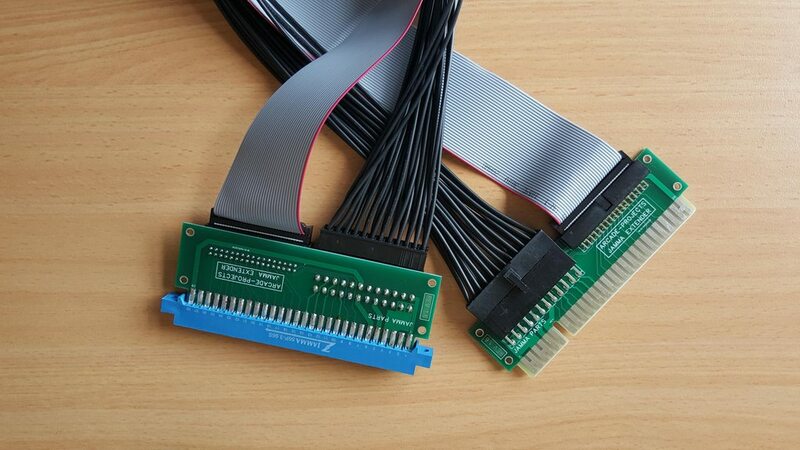 All parts and solder used are high quality and hand made. Special thanks to @Frank_fjs for putting in the effort designing and releasing files for others to make and sell and @oneleaf86 for helping me chase down parts and offer advice. 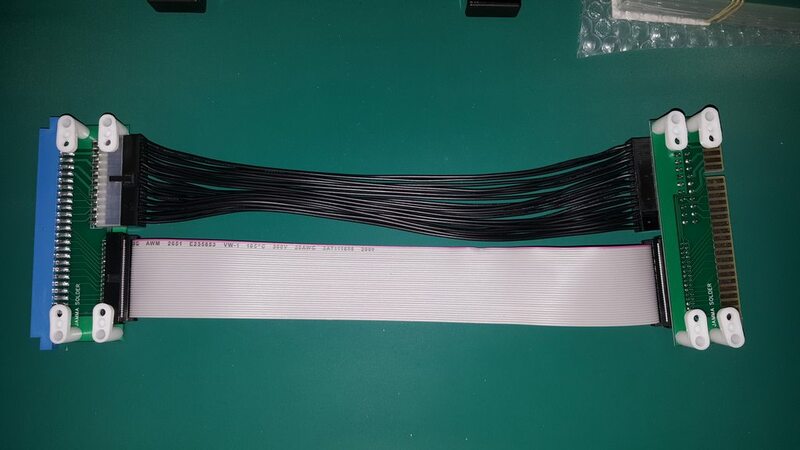 For those of you that have made a pre-order on cables I will be MP'ing you shortly to arrange for pre-order payments before placing the order for this batch of parts needed for this 60cm cable. I have some 30cm cables that are in stock. As mentioned previously due to Chinese New year they will be be available for shipment sometime end of March -end of April. These may be done sooner but would rather not over promise delivery times. I currently have 2 x 60cm 1 x 30cm and 2 x 100cm in stock. Last edited by TheSpaniard on April 18th, 2019, 12:19 pm, edited 12 times in total. Do you have a link to some ebay feedback or something on AP showing satisfied customers will do. I've only just recently started producing and selling these. I am not much of a seller. Not a huge ebay seller either but some FB there. Not really I am only doing at 30cm for now as they are a good length. I guess I could do one at 100cm but no parts for it now. You would also have a large voltage drop I would imagine at that length. At this size the voltage drop is only 0.2-0.3 Volts. You are absolutely right. For the buyer its no issue to source an ATX or IDE in any length of their choosing. Re: 60cm version will be available once I get 10 pre orders so far we have 8 spoken for. Once pricing is sorted out for these I will list in the first post and contact re payment and ordering. Due to Chinese New year being next week 60cm versions will take some time but still have some 30cm versions available. I am pretty sure the 60cm versions will be priced at $85 a piece. Anyone that is interested in these lengths can let me know. If you have any other sizes you are after let me know now and I'll see what can be arranged. Last week to get 60cm pre-orders in for anyone interested. 60 cm pre orders are finished but there are a few extras available when production goes ahead. Despite everything that was going on I managed to complete the pre-orders and am now preparing harnesses for shipping! I tested these and the voltage drop was minimal at 0.05~0.06 volts so I was pleasantly surprised of this. Last edited by TheSpaniard on March 22nd, 2019, 10:05 am, edited 4 times in total. I tested these and did not see any drop via the voltmeter on the HAS so I was pleasantly surprised of this. That's not how it works. Voltage doesn't drop on the HAS, it will drop at the other end of the extension. Measure both ends with a multimeter. Yeah you're right about that. What I mean is that HAS voltmeter did not drop and the voltage drop at the Jamma edge was negligible like 0.05~0.06 volts. I've edited this to articulate that better. Thank you man! My dad is doing better there are days that are up and downs but at least he is alive and no longer in the ICU. He has been there in hospital for 3 weeks already! Bump for the last of the remaining stock.